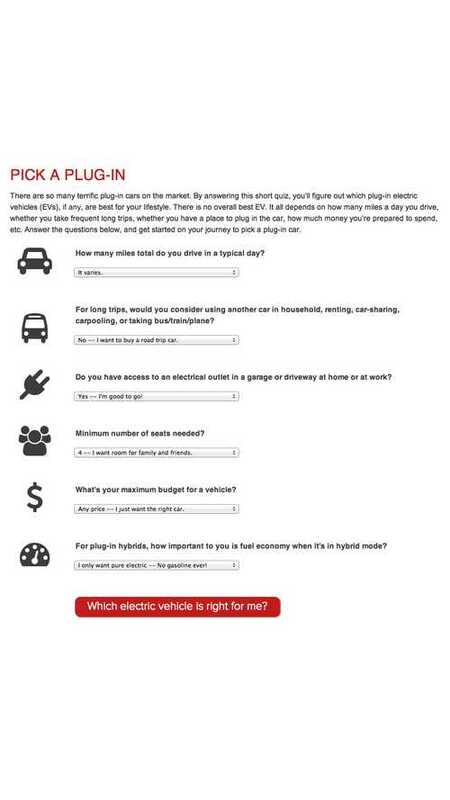 Our friends over at Sierra Club launched this handy tool called "Pick-a-Plug-In" to help you possibly decide your next plug-in vehicle. As you might expect, some people are not up to snuff when it comes to plug-in vehicles, whether it be plug-in hybrids, range-extended vehicles or all electric. For those not-up-to-snuff individuals, Sierra Club tells us that this tool is perfect (it's really for those who are new to plug ins). Here was my result! Perfect! This tool and guide from Sierra Club will help with the knowledge & know-how when it comes to plug-ins. 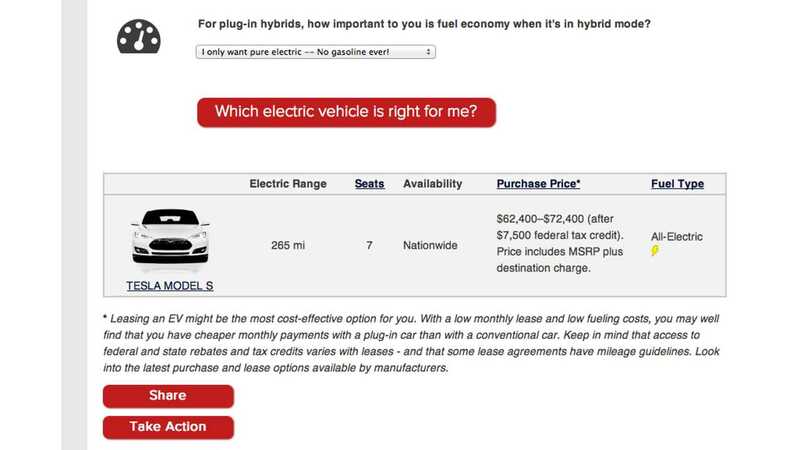 So, this "Pick-a-Plug-In" multiple-choice question tool helps to narrow down your EV selection. The Sierra Club claims that it's tool is unique, meaning no other sites offer something similar. Why did Sierra Club create it? Because it "would be something new and useful for the public as we work to accelerate interest in EVs". "There are a lot of compelling reasons why more than a quarter million Americans have already bought EVs since they first came on the mass market a few years ago." "They are cool high-tech wonders, there is little or no need to ever visit a gas station, they are much cheaper to fuel -the equivalent of about $1 a gallon, and they are much better for the environment -even when considering the emissions from the electricity to charge them up." Would you believe that "less then 1% of U.S. households have an EV"? But "according to a poll conducted last year by the Consumers Union and the Union of Concerned Scientists, nearly half of American households could purchase an EV for their next car based on driving needs and access to electrical outlets or EV charging stations." So, why wouldn't you make the switch? We have no doubt that this guide will bump up EV adoption… Because, of course, it is win-win to go electric. "The Sierra Club is America's largest and most influential grassroots environmental organization, with more than 2.4 million members and supporters nationwide. In addition to creating opportunities for people of all ages, levels and locations to have meaningful outdoor experiences, the Sierra Club works to safeguard the health of our communities, protect wildlife, and preserve our remaining wild places through grassroots activism, public education, lobbying, and litigation. For more information, visit http://www.sierraclub.org."